Glaucoma CAN occur in children. 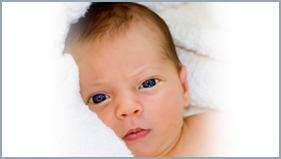 1/10,000 children are born with glaucoma. is vital to ensuring a lifetime with sight. is to prevent vision loss in children with glaucoma. To support that mission, we offer programs that help children with glaucoma receive the best care possible. gains access to specialized care. To Advance Research & Improve Outcomes. by providing an online resource center where parents can find support, information, tools, and education related to childhood glaucoma. 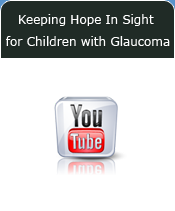 This website if for parents and caregivers of children with glaucoma. You will find Support, Information, Tools, and Educational resources about childhood glaucoma and the special needs a child with glaucoma may have. Our goal is that you will be enlightened, empowered, and encouraged to take an active role in caring for your child with glaucoma so they can receive the best care possible. Click on the logo to enter the website. The Childhood Glaucoma Research Network (CGRN) is comprised of clinicians and scientists who specialize in treating children with glaucoma. The CGRN connects doctors around the globe to leverage each member’s unique expertise and understanding of pediatric eye disease and glaucoma in order to promote progress and advance research in the care of childhood glaucoma. CGRN members come from top institutions across the world. An advisory Committee composed of distinguished Pediatric Ophthalmologists and Glaucoma Specialists is responsible for oversight and execution of CGRN projects.. Early that morning he had seemed to be under the weather and was really fussy. He went down for a nap on July 27, 2006, and when he woke up and opened his eyes – his beautiful blue eyes had turned cloudy and white.